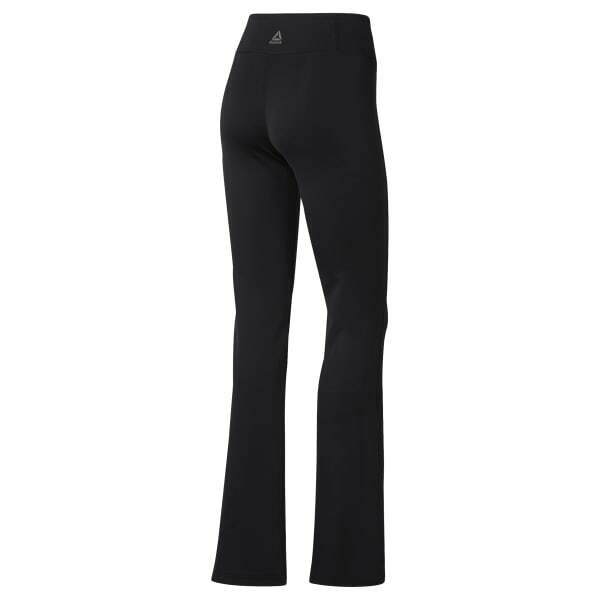 Pull on these women's pants for comfort on rest days or during commutes to your training sessions. The lightweight material wicks sweat and earns sustainability points for using recycled materials. An easy fit at the waist offers freedom of movement, and the bootcut silhouette adds a stylish edge.